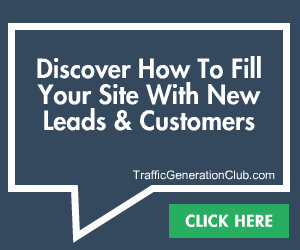 You are going to start getting lots of emails from marketers promoting Affiliate Builder. 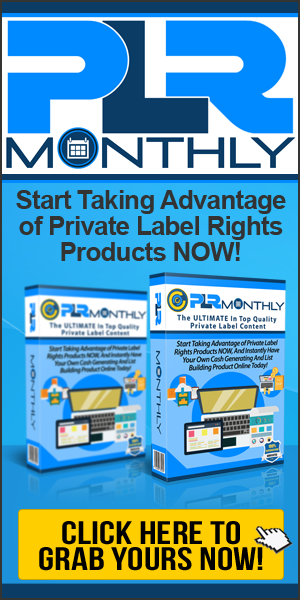 A fantastic affiliate recruitment tool created by Dave Nicholson and Omar Martin. This is one of those launches where every man and his dog will be promoting, but I’m going to try to be a little different so read on. Now, before we go any further I want to point out I have worked very close with Omar and Dave on numerous products and affiliate campaigns. In fact Omar was originally one of my students back in 2008 while I worked in the same car plant as Dave. I have also won tons of JV competitions by teaming up with Omar and Dave, and a recent product launch I promoted with Omar generated over $100,000 in sales. So it goes without saying that when they work together to launch a product I’m going to support it and promote it heavily, and that’s exactly what I intend to do when Affiliate Builder launches at 9am EST on the 14th of May. However, I’m going to try to educate you as much as I can not only about the product but about the topic of recruiting affiliates and affiliate marketing. So throughout this launch I am going to keep you updated with my progress as well as give you tips and try to involve you as much as I can. 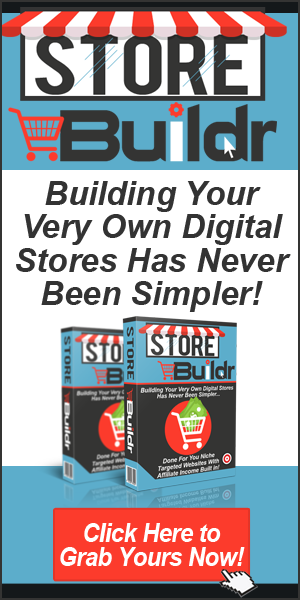 So what is Affiliate Builder and how can it help you? 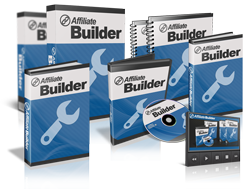 Affiliate Builder is actually a much improved version of WP Affiliate Builder that originally launched in September 2013. 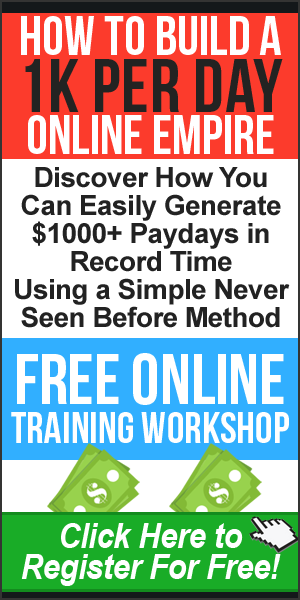 The complete package gives you an arsenal of tools, software and training that is specifically designed to help you to recruit and equip your affiliate army! If you’ve struggled to get affiliates to promote your products then that’s about to change. During launch for only $9.95 you get the WordPress Affiliate Builder Software Plugin to enable you to INSTANTLY and SIMPLY build your affiliates page with all the tools needed in minutes. Yes, you did read that right, only $9.95. I’ve been using this plugin on every single product I’ve launched over the last 3 years and let me tell you it’s transformed the amount of affiliates that support my launches. I also make sure my students use this product as it’s that important. THIS REALLY IS POWERFUL STUFF! So the first thing I want to know is if you decide that Affiliate Builder is something you need I want to know what sort of bonus would make you buy through my affiliate link? Maybe you need more affiliates, more affiliate training, some 1 on 1 time with me, a JV page review, some sort of promotion. Whatever it may be leave a comment below and let me know what you want from me and I’ll do my very best to make it happen as I intend to make this my best value bonus offering ever. If you are one of my subscribers I’m going to be in touch with you a lot over the next 5 days or so and I want you to know I intend to educate you as much as possible, if you want to join me on this launch leave your comments below and let me know what you would like as a bonus. Tip! Have you been watching Omar and Dave build a buzz for this launch? It’s been amazing, Omar and Dave seem to have been all over my Facebook feed, my advice if you check them out on Facebook and just watch what they are up to. You will learn a lot by just watching this launch. LEAVE A COMMENT BELOW AND LET ME KNOW WHAT YOU WOULD LIKE AS A BONUS. 42 replies to "Best Affiliate Builder Bonus"
I would like to see a huge bonus or special deal with (and how to get) solo ads. 1. Pre-launch comment from yourself on a product that I have almost ready for launch – particularly the format/content of my sales letter and also JV page review as mentioned by yourself. 2. Promotion of my product if you approve of it. 3. To be able to download your upcoming ‘Free Online Training’ webinar as I have problems attending webinars when ‘live’ due to a flaky internet connection. I would like a bonus on how would you first start from EBay todays time selling digital products now with all EBay policy updates I wish I was into internet marketing in your first days with EBay when you first started and you was able to sell digital products right from EBay as a download and it would have been easy to build a large list fast but todays time thing have changed now digital products have to be put on media discs and this is time consuming and not as effected as in the old days. 1.) A full mailout to your affiliates to help us get a start in the industry. 2.) A mailout of our product, if it fits in with your criteria. 3.) Time on Skype with you, or the phone to ask you about IM, and full rights to us to use that as we wish. 4.) A full webinar on how to approach potential JV’s especially if you dn’t have a list, or got on leaderboards. 5.) A JV with you on a product that has been created by your clients, and your help with funnel critique, etc. That is my wishlist, whether it happens is another thing, but as the old saying goes…..if you don’t ask, you don’t get lol. Have a greta day John. A totally FREE 30 day trial of Optimize Press. That would be sweet. The best bonus is having YOU to promote our squeeze pages. Very simple… an “Intro” to the Market. We’ve already got products from all three of you about Product Development, Launch Control, and even the original Affiliate Builder. So we SHOULD already have the help we need in those areas. But a little help with the promotion aspect——considering the size of your Lists——would be worth its weight in gold. Help with promotion would be a great bonus. Help in building list,subscribers management,improvement in conversion rate. A promotion to your list and your affiliates of one of my soon to be released products would be appreciated to allow me to build my own affiliate list. For me personally, I think some kind of launch support, either direct or indirect through affiliates or perhaps even a genuine testimonial that would carry authority. As an ‘affiliate’ related product, some affiliated support would perhaps be more closely related, but it is one heck of an ask on such a low cost product that would be hugely in demand. I’m also fairly sure that you have quite a fully booked schedule too so it may not be entirely practical. I’m picking this product up regardless because I love what it can do, and I will be picking it up through your email. Whatever you end up doing, I know it will be hugely valuable to everyone that picks up a copy of the Affiliate Builder plugin. I want a total step by step of how to having a complete website and all the tools to get started and seeing true and tested result as testimonial for others.Tired of opening e-mails to read and get torns of stuff in my inbox but without no success. I’m a SFI Affiliate but have not been able to achieve something since 2013. I want something that get me a big income within a period of time as long as I am ready and willing to put my time and effort as I do in SFI. Your kindest approval and help shall never be forgotten and I will forever be grateful. Thank you so much. GOD Bless. Already mentioned above, but I would love you to support my next launch. Is this affiliate builder better than Jvzoo or warriorplus? do u havr any comparison? As bonus, we would like to get free promotion to ur list and affiliates. But if 100 people buy using ur link, it has to be in queue…maybe only 5 take action though.. Does the affiliate builder have feature to auto broadcast to all website owners (that install affiliate builder) for every website installed with affiliate builder? Would love you to look at my product in the internet marketing niche and do me a video review/testimonial. Thanks John!! I agree that a promotion of my product upcoming in the next couple of months is what I would be most interested in too. Thank you very much that you have a kind heart to help and give, especially online business. To be frank, I would like to have a complete step by step of how to set up a website and what the resources require to get my website online. Do you have a lifetime membership site about website building, so that I can become as a member of yours? Your consideration and approval of my request as above will be much appreciated and I will forever be grateful. Thank you so much and have a great day! Help in promotion to your list and affiliates would be the biggest help. Mr. Thornhill…you appear to be a day late and a dollar short! This launch opened today! It doesn’t launch till 9am EST on the 14th Michael. You will be on Omar’s pre launch list. I am still in the midst of creating a MMO/IM product and will take a while to materialize. Nevertheless, I would need your help to get more affiliates and also your help to promote the product to your list once it is really to launch. Hey my friend! I would love for you to promote the upcoming launch of my ebook to your list & your affiliates! I would love to work personally with Big John Thornhill! I think a good bonus would be to help make and launch a product. I think you’ve done that before, but it would help launch and build creditability for us. How about Optimize Press 2.0 as your major bonus for purchasing Affiliate Builder. Please let me have the first months installment of your Partnership Program so I can afford it. I feel that if I can earn the later installments after I satred, I could then do the whole course. Please see if this is possible and if it can practically work. It would be good if you offered one on one time with you, so that we can ask you questions regarding topics that may be stopping us from moving forward. What I would love is your agreement to promote to your list of subscribers and affiliates…. Could that be done ??? I originally come from where the TWO good soccer teams come from Manchester…a long long time ago AND my cousin Les Wilson an English/Canadian played for Man U, Whoverhampton and Chelsea, and my Dad worked on the Manchester Docks. Later I became three times Champion of Canada for boxing…I had 399 fights and only lost 21, and the link below is just so you know I am not full of it.. I also own a company named http://www.adsmadeez.com which is a FREE classified ads service for North America and the Caribbean. I have developed this over the last 5 years. If you check on Google and other search engines you will see we are already listed number one..BUT NOW I am trying to find “the right TOOL” for driving traffic to this site.. If it works for me and my service….I would be willing to place this in BANNERS on my site absolutely Free in categories YOU CHOOSE and promote the heck out of it…to all our current and future affiliates and partners.